In short, I'm lucky enough to have a three-month internship opportunity in HDE, Shibuya, Japan and a one-month visiting student opportunity in Prof. Miyaji laboratory at JAIST, Nomi, Japan. 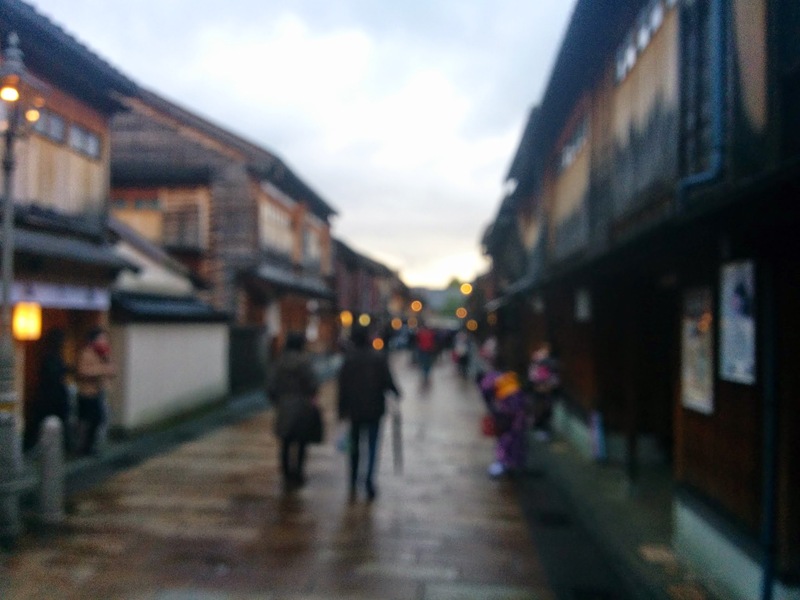 The provided fund is around 150.000 - 190.000 Yen / month for both programs, so it should be sufficient enough to support your daily life and housing in Japan. As a foreword, it should be noted that I don't promote working over researching or vice versa. On the contrary, if you're given an opportunity to have both experiences in foreign country, I recommend you to jump aboard. Anyway, this post will be divided into two main sections: similarities (especially in having an internship in Japan) and differences (between working at a company and researching at a university as your internship program). Let's start with the similarities first! In Japan, you are required to be punctual. There are several cases, due to my own stupidity, I was late to catch the bus or train and need to wait for another hour. For example, if the schedule says that the bus will arrive at 10.23, you need to arrive there at 10.20. The bus may come earlier than the written schedule and if you are late, you need to catch the next schedule. Actually, it's quite amazed me on how the bus can arrive on time (+/- 3 minutes tolerance from the written schedule). I believe they have calculated all traffic lights into their consideration, since the route itself sometimes require over an hour to complete and the bus still stick on the schedule. I believe it's safer to have these schedules in your mobile phone. If you are scheduled to have a meeting with your boss or professor at 10.00, you need to arrive at least 5 minutes earlier. It may somehow obvious for everyone, but thanks to our own habit in Indonesia, you can unconsciously add an "additional" 15 minutes from the appointed time. Another case, there are a lot of restaurants where you need to return your own after-dishes to the specified place. Sometimes, I'm also on the verge of forgetting these kinds of things, especially when you're engaged in a conversation with your Indonesian friends. Well, this case seems like an unimportant thing, but there is a proverb "When in Rome, do as the Romans do". What I'm going to say is that you need to observe your own surroundings and try to mimic them in a positive way. Nevertheless, you need to keep some aspects from your own culture. That is the main point in having diverse cultures, you need to help each other in your life. The easiest analogy to this case is your major in the university: electrical engineers build the hardware, software engineers build the software, etc. I believe that culture is similar to a building block, you need to have a lot of different variations in order to build great things. Without discriminating anyone, I'll give a simple example. 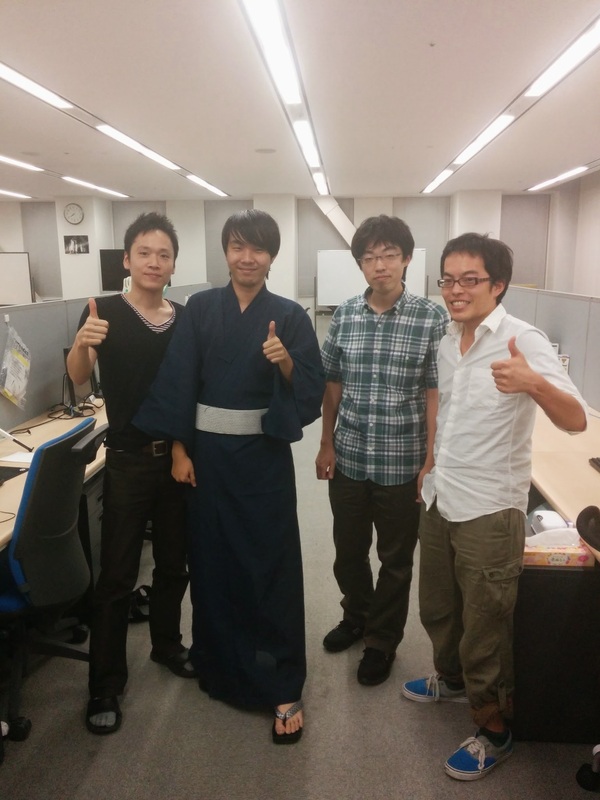 Japanese people tend to have a rigid workflow in finishing their jobs, since the country itself is already matured. On the other hand, there are a lot of start-ups ideas from Indonesian people. "Think out the box" can be dangerous if you don't have a direction. Conversely, a rigid workflow doesn't always sufficient in tackling new problems. Therefore, you need to spark some of your own habits in a discussion or meeting, as long as you express it in a good-mannerly way. Just remember that life is not about black or white, infinite choices and possibilities lie ahead. 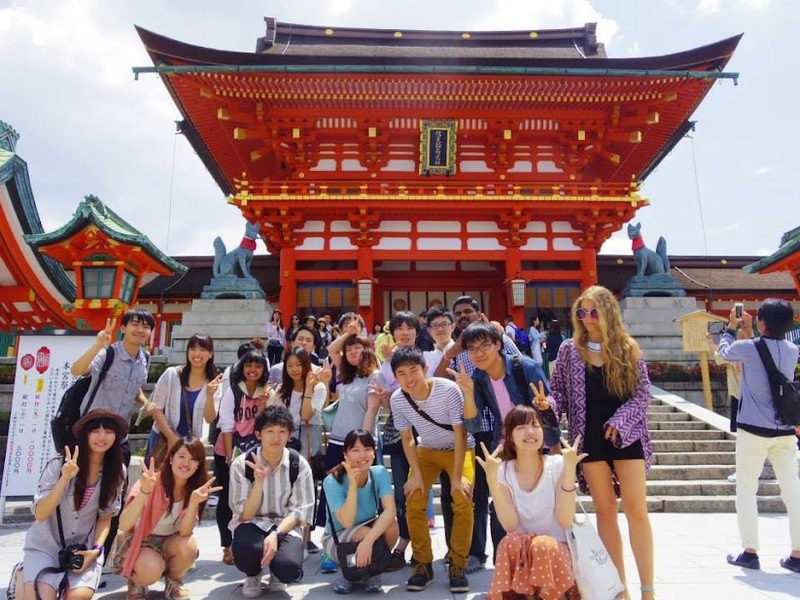 During my first stay in Japan, I'm fortunate enough to have a lot of friends from AIESEC - Japan. As a short introduction, AIESEC is a global platform for young people to explore and develop their leadership potential. I met a lot of intern students from all around the world: Canada, China, Thailand, etc. On the other hand, I went to several events and trips with them. It should be noted that your friendship is also not limited to your stay in Japan. For example, several of them came to Indonesia in October, 2014 and we could have a nice chit-chat talk together. Sometimes, they also provide me with a lot of useful information regarding job opportunities, festivals in Japan, and a lot of links to new things! 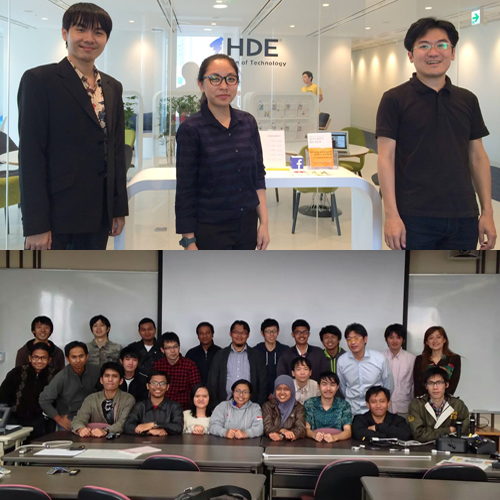 Of course, there are a lot of new connections from HDE and JAIST, but I will leave it to another post. The thing that I want to say here is that your new connection will not be limited to Japanese people, but also from different countries around the world. Also, you can learn a lot of new things such as putting your glass from other people's perspective. Foods can be quite problematic if you're living as an expat. Your choice may be quite limited because of several reasons: the taste doesn't suit you well, the food uses "haram" ingredients, etc. In Japan, they use raw fish as sushi materials. They also use raw eggs as a mixture in several foods. And there's also natto, cold noodles, and variation of foods which you haven't experienced it before in your home country. There's also a possibility that the same name of food doesn't guarantee the similarity in taste. As a precaution, it's better to have some basic information regarding foods in your target country. There's also an undeniable facts that you will feel "gaptek" or "baka gaijin" (stupid foreigner) when you live abroad. 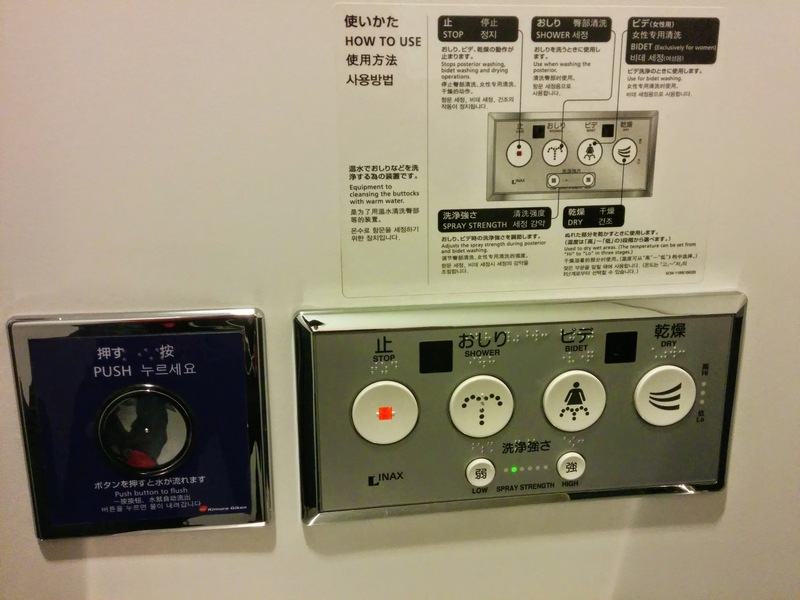 For example, the toilet seat in Japan is integrated with a lot of confusing buttons which is sometimes fully written in Japanese language. Fortunately, there's no button to auto-eject your seat, so you don't need to worry about that. The point is that you should not be afraid in asking other people. If it's quite impossible in using English, you still have your ultimate weapon: body language. As obvious as it is, you will be forced to engage your communication in foreign languages (English, Japanese, etc). 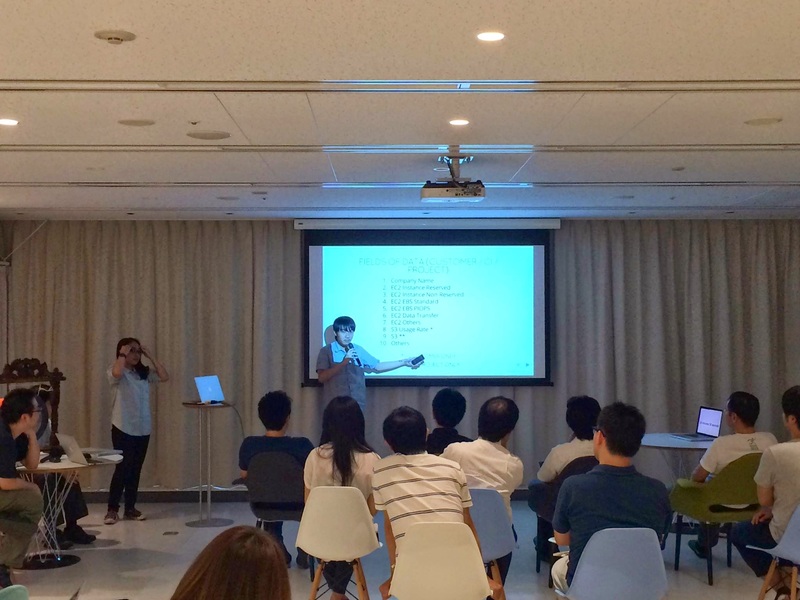 Giving a good presentation is hard, regardless the language that you need to use. However, you still need to find your own style in communicating things and ideas. It should be noted that good reading/listening skills don't assure a good speaking skill. There's a classic proverb "Don't be afraid to make mistakes, you'll learn from them". Don't be afraid in wrong vocabulary choices or grammatical errors, the listener should be able to catch the context (main ideas) as long as you communicate it to them. In the following section, we will talk about differences in working at a company and researching at a university. You will find that working environment inflicts greater change than in a researching environment. In a university, you will meet a lot of students and lectures, both of them will have a same vision with you in educational fields. The change in a university is more specific, such as different ways in conducting a research. On the other hand, you need to communicate with a lot of different people in a working environment: HR, finance, etc. Actually you will experience it everywhere regardless the country that you're lived in. In a researching environment, you will most likely have your first-hand experience in conducting a research. 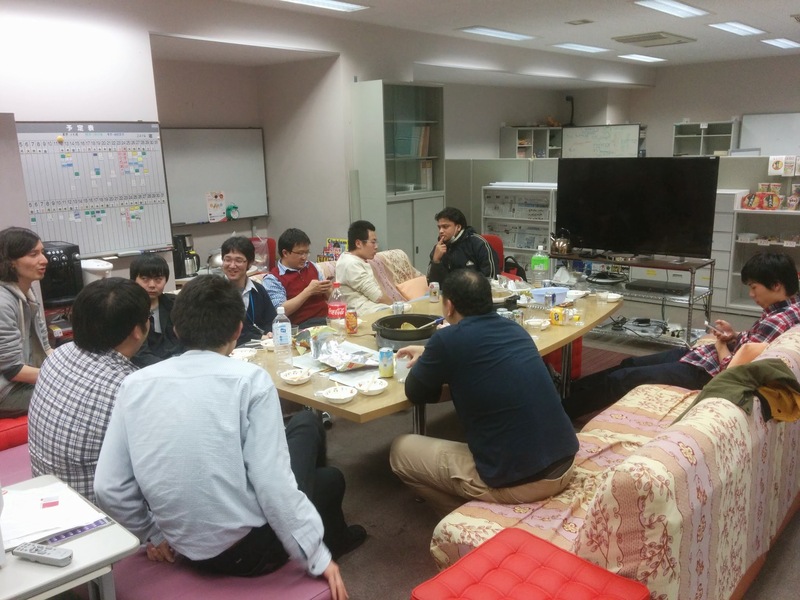 For example, during my stay in Prof. Miyaji laboratory, they have a presentation session regarding one published paper every day. These presentations are similar to knowledge gathering, where you can gain new knowledge and discuss it with other students. They also have a special session for debates and conference preparations. You can also use better infrastructure which is not available in your home university to conduct your research here (better supercomputing powers, etc). As trivial as it is, the final product of your internship will be most likely different. By working in a company, your final product is usually centered on a solution / service. For Informatics students, you will develop a software application for daily operations. On the other hand, by researching in a university, you will contribute to other scientists in your field. For example, you create a new technique in tackling a known problem, you improve an algorithm performance, you summarize the works of other scientists in a unified platform, etc. By having an internship in foreign country, you will be faced with an additional problem in creating those products. For example, Japan use Kanji as their writing systems, so you cannot simply use ASCII unicode in storing your data. Of course, there are also a lot of non-technical differences between your home country with your internship's country. What I want to say is that you will acquire different skills between having an internship in a company and having an internship in a university. In conclusion, you will have better insight after having these kinds of experiences. You will become more open-minded in seeing different cultures. But you should take a precaution in adapting different cultures. Curiosity may become a pitfall if you don't have a strong foundation. Nevertheless, this opportunity may be a once-in-a-lifetime chance during your study in a university. Also, it will give you a lot of unprecedented opportunity in your life! I believe that you may want to ask me regarding the process in getting these kind of internship opportunities. I will discuss them separately on the other posts! So, stay tuned!